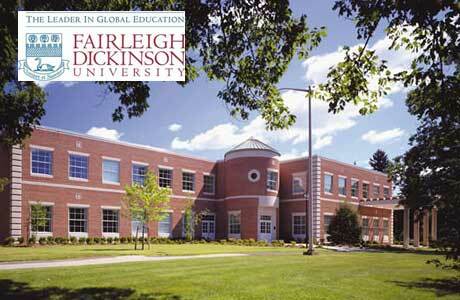 The largest private university in New Jersey,Fairleigh Dickinson University( FDU) is a not-for-profit, nonsectarian, multicampus institution. Founded in 1942, FDU achieved four-year status in 1948 and approval as a university in 1956.The University offers over 100 undergraduate and graduate degree programs, including doctoral programs in nursing practice, clinical psychology and school psychology; and an AACSB-accredited business school. Degree programs are offered on two New Jersey campuses and at two FDU locations outside the U.S.: Wroxton College, in Oxfordshire in England, and FDU-Vancouver, in British Columbia, Canada. > Submit the International Scholarship Application form. FDU is proud to offer the Presidential Scholarship, a full-tuition scholarship for first-time freshmen that recognizes exceptional academic performance. Students who are awarded the Presidential Scholarship must live on-campus for the duration of their studies. It is renewable up to 4 years. The Presidential Scholarship does not cover housing, food, living expenses, insurance and other fees; therefore, applicants on an F-1 student visa must also submit a bank statement and affidavit of support to cover these expenses. This scholarship is highly competitive, and not all students who meet the above criteria and application deadline will be selected to receive this award. Applicants who do not receive the Presidential Scholarship will still be considered for other merit-based scholarships.